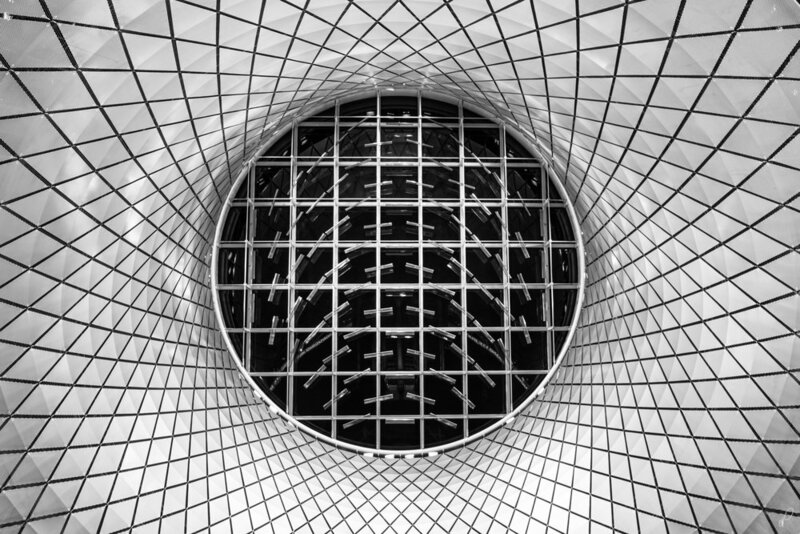 ViewBug community member empty_quarter loves shooting architecture and interiors. His images are a great inspiration for those who want to shoot cityscapes and capture the beauty of the architectural highlights in cities. I don’t really have a wild story as to how I got drawn into Photography. I guess I was looking for a hobby and simply wanted to be able to capture majestic landscapes and architecture, especially with great light. Seeing epic photos in magazines like National Geographic probably subconsciously played a role in that. My first camera was a Nikon D60 and I slowly moved up the Nikon ranks. I had my camera bag stolen which gave me an opportunity to try another format. I then switched to a Sony A7R for its smaller size which I continue to use to this day. For a compact pocket camera, I use a Sony RX100. When someone looks at your photos, what do you want them to take away from it? Aside from the obvious – portraying a great scene – the one thing I try to communicate is the effort and story behind the photo, and that’s not easy to convey. For example, in the photo below, I woke up at an incredibly early hour, to drive to 2 hours on the coldest morning of the year (-30 °C), all for the hope of capturing the ice fog over a Niagara falls sunrise. It was so cold that my fingers were frostnip as I was determined to stay out and capture the photo. I then spent half an hour indoors in pain as my fingers were thawing. Luckily conditions were fantastic and the photo turned out exactly as I hope it would, and that is why I titled the photo “Frostbite”. Now, I’m not sure viewers would be able to gather all that just by looking at the photo, but at the very least, you can tell it was really damn cold that morning. When I look at other photographers’ work, I do try and imagine or visualize a story behind it, what the photographer had to do to capture that photo. How long one had to hike, drive, camp, walk, how quiet or chaotic the scene was, or at the very least, how long one had to wait to capture that one moment. My favourite part is the challenge of the hunt. Landscapes in particular have many elements out of the photographer’s control, it requires pre-emptive planning, patience, timing, and in some cases luck. It’s a satisfying feeling capturing a great photo that I visualized. It’s kinda like shooting a moving target. It’s definitely gotten me out of the house. It’s forced me to travel to new places and explore for new photos and angles, sometimes to great lengths for the sake of a photo. I have been to quite a few photogenic cities and natural wonders, which I don’t think would have been possible if photography wasn’t the motivation behind most of it all. When it comes to landscape photography, a photograph is really a capture of reality. It’s tough to be conceptual but not impossible, long exposures are a great example of this. Drawn out clouds and light trails can give a completely different mood than a frozen image in time. Otherwise, I try to convey a feeling of grandeur and splendor; the wonders of Mother Nature, the energy (or lack thereof) within a metropolis, or the detail, beauty, and thought process behind an architectural element. I would describe my style as “technical”. Photography is a balance between science and art, and I find myself leaning towards the technical side of it. I like to focus on lines, symmetries, and the play between geometrical shapes. Perhaps it stems from my background in architecture and construction. I always strive to achieve a technically perfect image (composition, exposure, timing, and straight lines) all while looking for a creative angle. Architect Mies van der Rohe had a saying “God is in the details”, and I feel that I apply that wholeheartedly to Photography. The “details” in my opinion is what separates a mediocre landscape/architectural photograph from a great one. I don’t mean that in the sense of sharpness or megapixels, instead what a photographer decides to include in the frame, or not. I would choose a standard lens like a 24-70 for its versatility. Others in the genre would pick an ultra-wide, but the reality is that unless you’re in a city with towers surrounding you, or in a majestic place like the Grand Canyon or Niagara falls with grand walls, ultra-wides are otherwise not very useful for instances you need to zoom in, which happens more often than not. Ultrawide lenses definitely have their place in the genre, but If I had to choose just one lens, the 24-70 would it be it. I’d be fine with f/4, as aperture isn’t too important for landscape photography. What are your 3 tips for others who want to become landscape photographers? Keep shooting, practice makes perfect. It’s an old adage but it really holds true here. Timing is absolutely everything in landscape photography. Have a vision, and check the forecast. Frame the photo, and time it accordingly for good light, and wait. For example, if you want to shoot the stars, don’t go when it’s cloudy, and don’t go when there’s a full moon out. If you already have a capable camera, spend money on travels instead of more gear, it would do more for your photography than an upgraded camera body or lens. Not to mention the experience of traveling and experiencing some place new. I am colorblind (red-green deficient), and so I’m not able to correctly adjust for color. I especially have trouble with purples and browns. When I first started, I noticed that I oversaturated colors in an attempt to make my photos vibrant and pop (to me). While the comments weren’t all that awful, feedback was along the lines of “OMG! So colorful! There’s no way the sunset was that colorful!” Some didn’t mind the strong colors as it looked like a surreal painting, but that’s not what I was going for. I wanted to photography reality, and over time, I toned it down to the point that I don’t even tamper with color saturation anymore. I was self-taught and learned by trial and error. I live in a city where, fortunately, there many spots to shoot the skyline. I kept shooting the same angles over and over, experimenting with different settings, weather, light of day, and really just found out what works, and what doesn’t. Once I figured out a process, I was able to carry-over those skills to new spots when I travel. It’s an ongoing experience and I’m still learning small tricks along the way. RAW bar none. You are able to extract a lot of detail within the photo with RAW, which is later easier manipulated in post-processing for better results. Post-processing is half the work in photography these days. If I have a shot in mind, I carry my Sony A7R, 24-70, 14mm Samyang, an assortment of filters, and a tripod of some sort – either a table-top, a gorillapod, or a full-sized tripod. Otherwise, my compact RX100 is my daily carry. One of my favorite photographers is Brian Day. He has a fantastic ability to capture the moods of cityscapes, especially of his hometown of Detroit – and not in the stereotypical “abandoned” and “decay” fashion. Instead, he highlights the present life and struggles of Detroit, as opposed to focusing on the past. The consistency in his image and strong narrative is really inspiring. While I like to think my photos are consistent, I believe I can improve greatly on the story. The desire to have the biggest and baddest camera, along with the biggest and baddest lens in order to take great photos, basically Gear Acquisition Syndrome (GAS). It seems many shooters, especially new photographers, crave to have the best and latest camera/lens they can afford as that’s the only way to improve their photography. While I will admit that higher tier cameras have their advantages, for example they are easier to handle and use, they are certainly not the end all and be all to capturing great photos. Not a “location” per se, but I do want to shoot the northern lights in all its glory one day. A neat location would be the fjords of Norway. If the opportunity comes to check out a place, I’d scope the place out for potential photos. If it’s easily accessible, I drive around, otherwise I like using google earth as it’s a great way to visualize scenes. I browse the net and magazines for potential ideas, and once I have a series of photos I hope to capture, I schedule them in order to take advantage of a certain light, weather, or in some tourist-prone areas – crowds. When I travel, I sometimes need the help of local photographs to give me the scoop on great vantages. Some of my better photos were captured when shooting with a local photographer, like the one below. 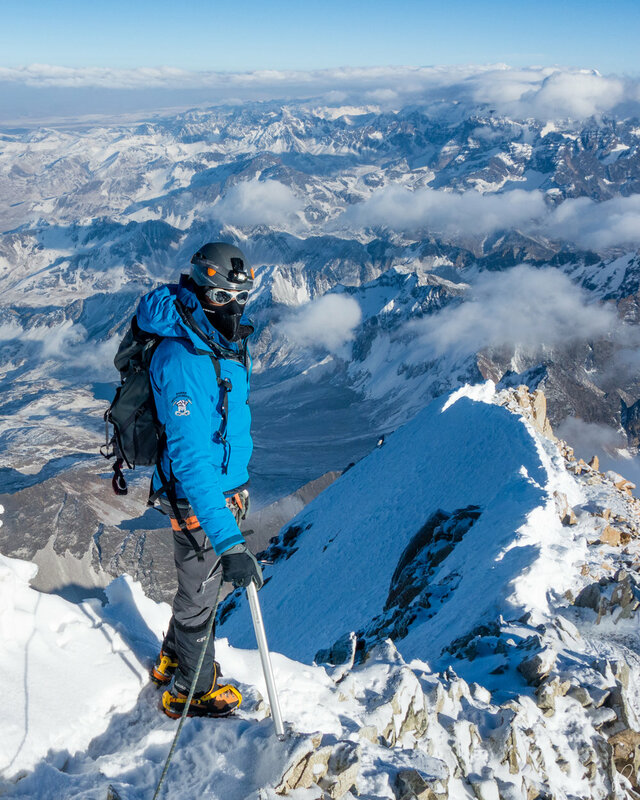 I’ve recently taken up an interest in mountaineering, I have a few trips planned next year and I’ll be sure to take my camera with me. I plan to climb the volcanoes of Mexico next. Photography is merely a personal hobby and my only creative outlet, but I do hope that my viewers admire some of the places the world has to offer, and inspire others to go explore the world for themselves.